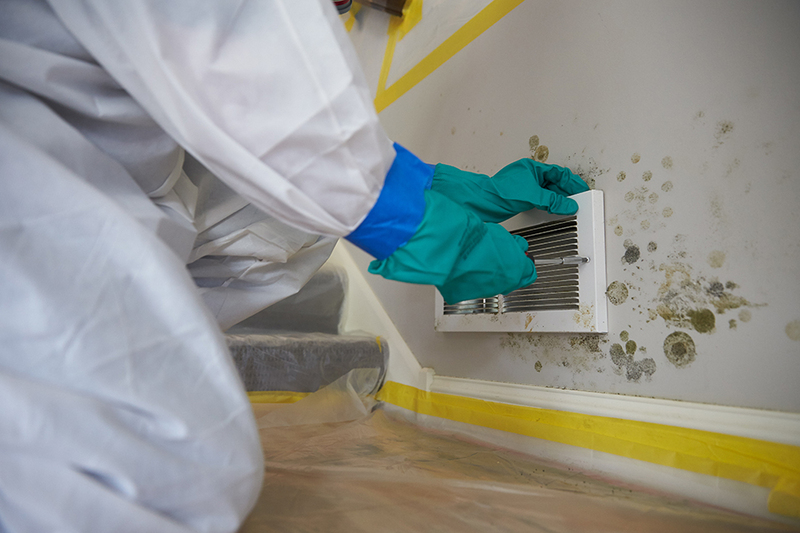 We have probably all encountered mold at one time or another. It might have been in the shower, or on a stale piece of bread or wet drywall. Mold is a microscopic life form found in all parts of the world. It is part of the natural decay process of organic materials. Molds require an organic food source. The most common food source indoors is cellulose, which is found in building materials such as wood and drywall. Molds require oxygen, so they do not grow under water. Molds require moisture. To prevent mold, buildings must be kept dry. The colored, fuzzy growth on the surface of a wall, floor, ceiling or other indoor surface is obviously very objectionable. Active mold colonies usually emit a very unpleasant, musty odor. Because the job of mold is to digest, decay and recycle dead organic matter, it will eventually destroy whatever surface it grows on. Exposure to mold spores can cause mild to severe allergic reactions, depending on individual sensitivity. At ServiceMaster Clean®, we have the equipment, personnel, and experience to handle your home, housing complex, or business area mold damage. When mold needs to be addressed, call the professionals at ServiceMaster Clean®. We are on call 24 hours a day, seven days a week, 365 days a year.